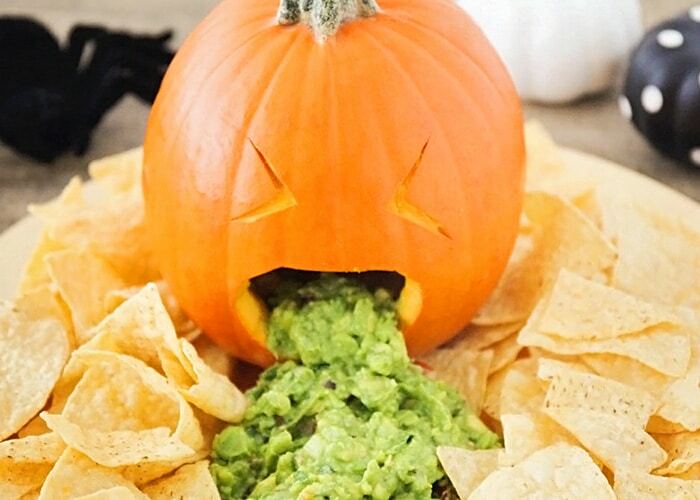 Get some good laughs at your next Halloween party with this throwing up pumpkin guacamole! It’s the perfect addition for any party. What screams Halloween more than having a pumpkin throwing up everyone’s favorite dip! Last year we had a family Halloween party where everyone was asked to bring a side dish to share. 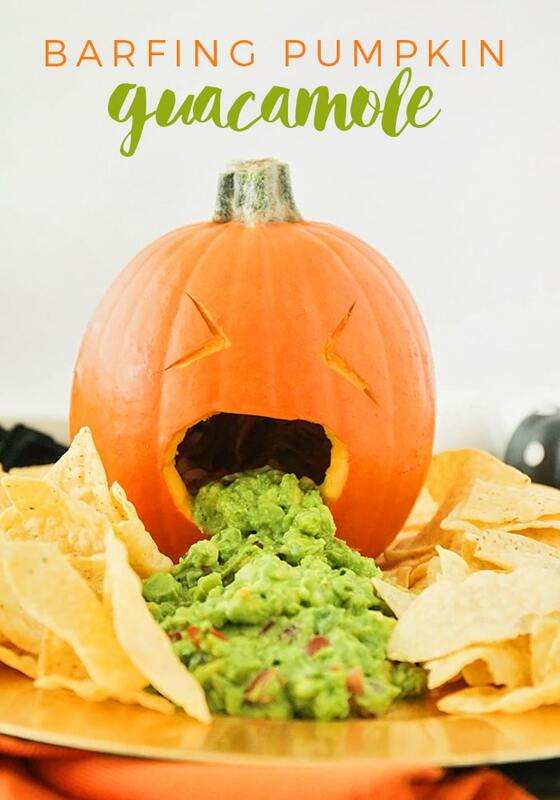 This throwing up pumpkin guacamole is the dish my sister-in-law brought, and it completely stole the show!!! 1 small pumpkin – we used a pumpkin pie pumpkin that was about 5-6 inches tall. Cut open the top of your pumpkin and clean out the “guts” on the inside. Discard the guts and place the top back on. 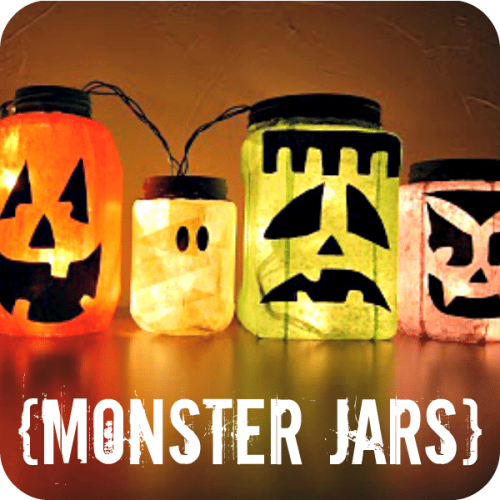 Carve a barfing pumpkin face by making 2 triangle slits for the eyes and a round hole for the mouth. 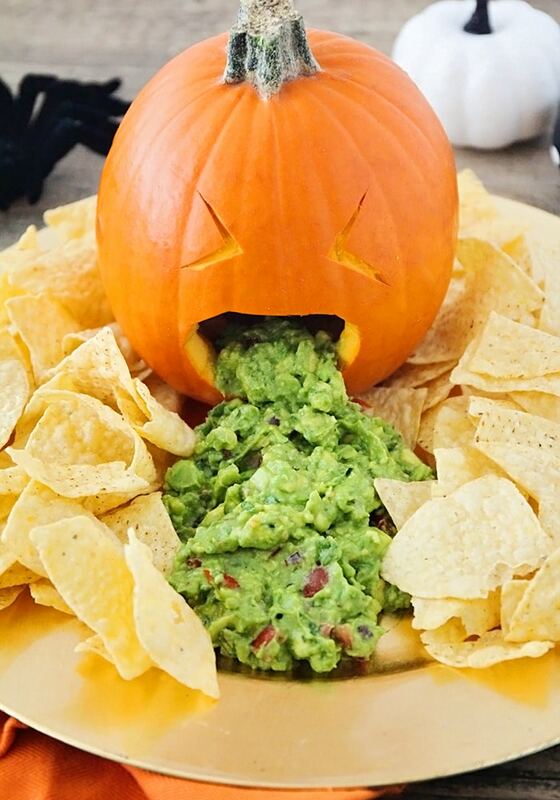 Place the pumpkin on the serving tray and spread the guacamole from the mouth of the pumpkin, and down the center of the serving tray. Set tortilla chips on the side, serve and enjoy! So simple, and disgustingly hilarious! 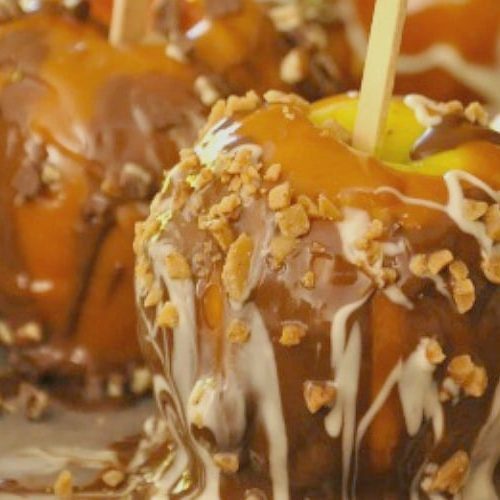 Do you have a favorite Halloween dish you like to make for you spooky festivities? Leave us a comment below, we’d love to hear all about it! 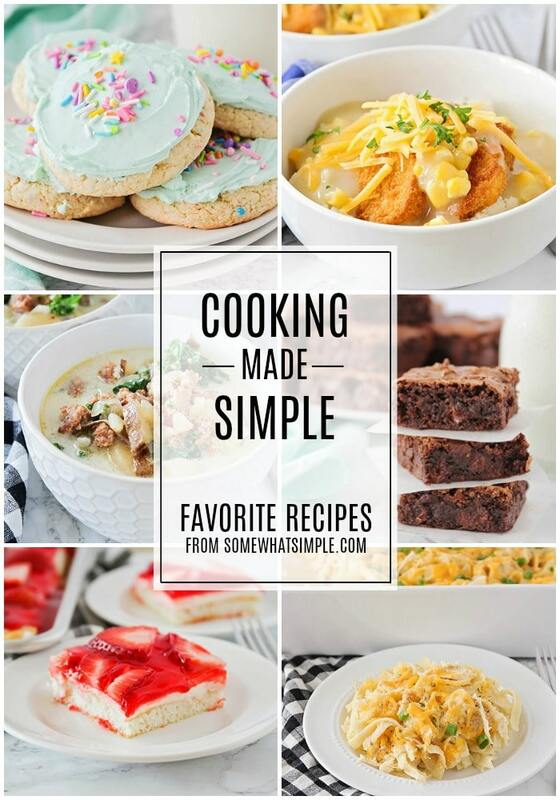 This post originally published on Somewhat Simple in October 2012. It was updated with new images in October 2016. The pumpkin made me smile. It’s so fun and spooky!! Hahahaha…. I love guacamole but this puts a whole new spin on it….. Thanks for the laugh. 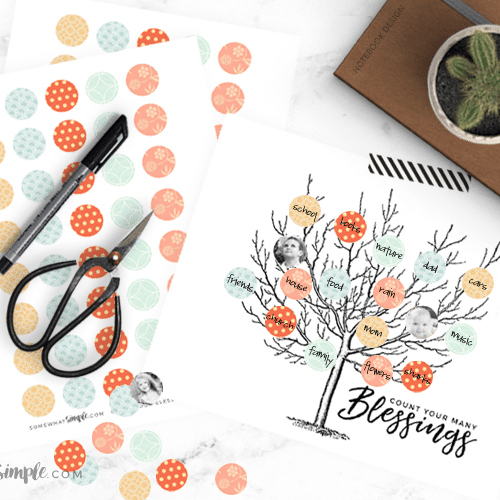 PS Good luck with the contest… I hope you win! This is definitely going on my Halloween party buffet table next year. Love it! Thanks for sharing. Ew! As a pregnant mom who just got out of the vomit-filled 1st trimester, that one hits a little close to home. Give me a year, though, and I may try it:) Very creative.